It’s easy to get in a rut. Especially for me, a lover of routine and efficiency. But inspired by meeting with a group of outdoor enthusiasts last night, I was determined to try something new this morning. So throwing out all my known routes, I set my bike on a new course. I was ready to explore. The early hour brought a chill to the air, and the later-rising sun took its time to warm things up. Despite being well bundled, it was nippy cycling straight into the wind. There was little let-up as my initial leg took me inland, heading due west for a long stretch. But there were side benefits. The sun felt warm on my back and the newly laid pavement was a wonderful surface for cycling. By the time 15 miles were behind me, my paltry dinner the night before had faded, compounding my chill. Treasuring the thought of a warm-up, I was thrilled to find that Pelican Coffee was nearby. With a slight alteration in course, I was soon walking through the door. Normally, I never stop while on my bike rides. But I was rather getting to like this new mode. 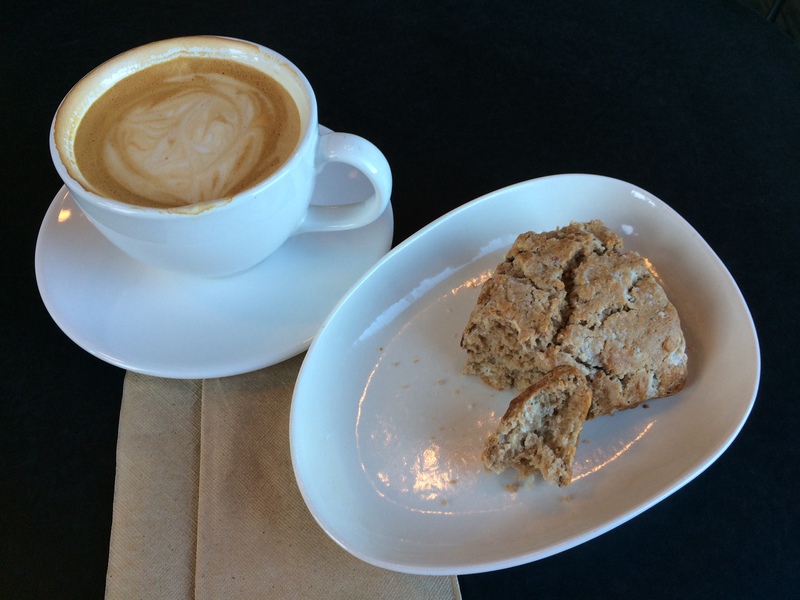 With a well crafted latte and Nutella scone gracing the table in front of me I savored the ambiance of this newly launched community focused, global missions based enterprise. Warm and well fueled, I resumed my ride. Heading back toward Lake Superior, I ultimately reached the scenic portion of my route. 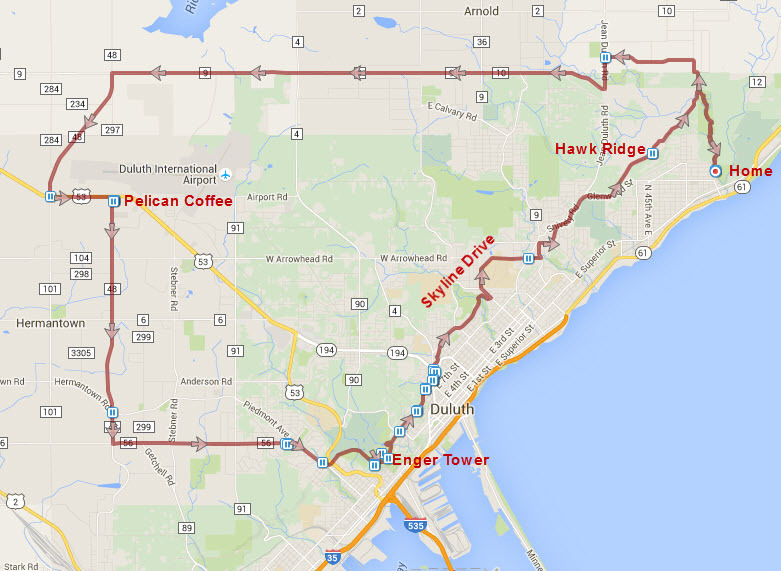 I have never cycled Skyline Drive from end to end across the city of Duluth, so that is exactly what I set out to do. I had the perfect sunny day for the broad scenic overviews that abound, and my pace slowed considerably as I stopped frequently to admire and take pictures. 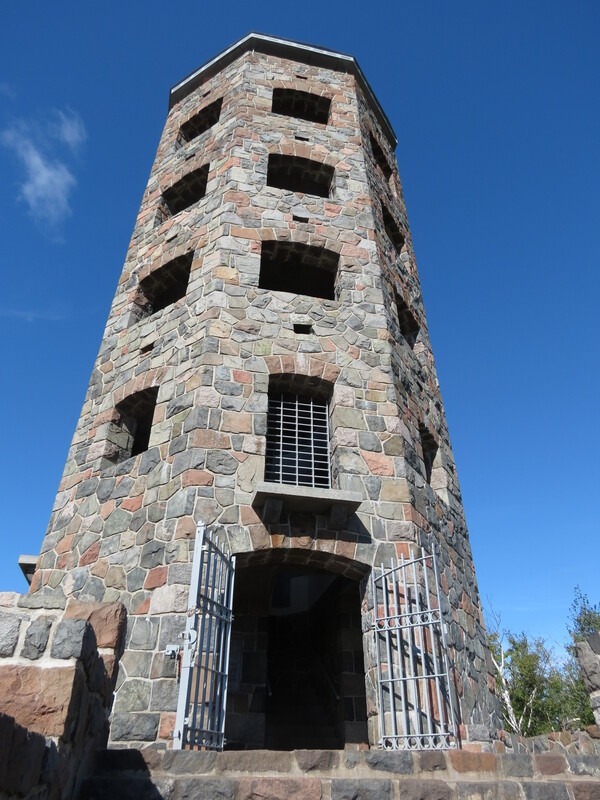 Enger Tower called to me as I passed, so I took that in as well – an uncharted detour. It seemed pointless to stop at the bottom, so I climbed the beautifully restored tower and took in the 360 degree view from the top. My timing was perfect as the US Coast Guard Cutter Alder was just about to pass under the Aerial Bridge. I greatly enjoyed checking out the various neighborhoods that stretched across the city, from mansions to tidy little homes. 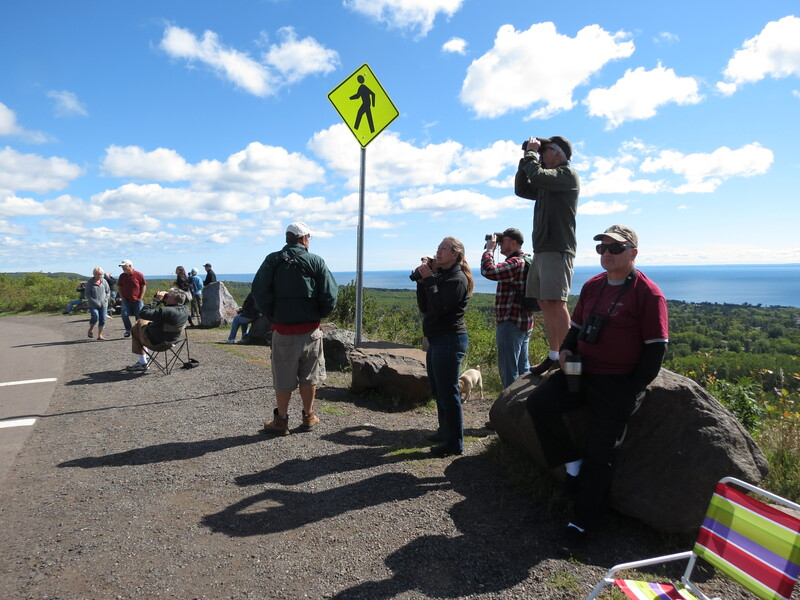 Duluthians will do anything for a view of the lake. 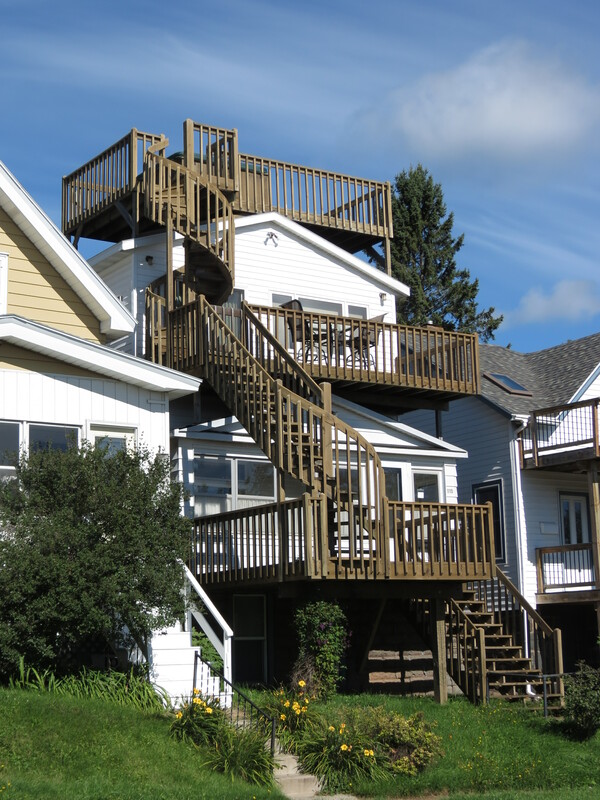 So I had to chuckle at the owners of this house who were determined to see the lake from every level – including from the hot tub perched above the roof. Crossing from west to east, I eventually found my way into familiar territory. East Skyline Drive passes through Hawk Ridge, which is now in its peak season for bird watching. That perch high above Lakeside was teaming with folks sporting binoculars and cameras to catch the migrating birds. It was all downhill from there to return home. Thirty-six miles after I set out, I was still smiling. It felt so good to break out of the mold and do something different. 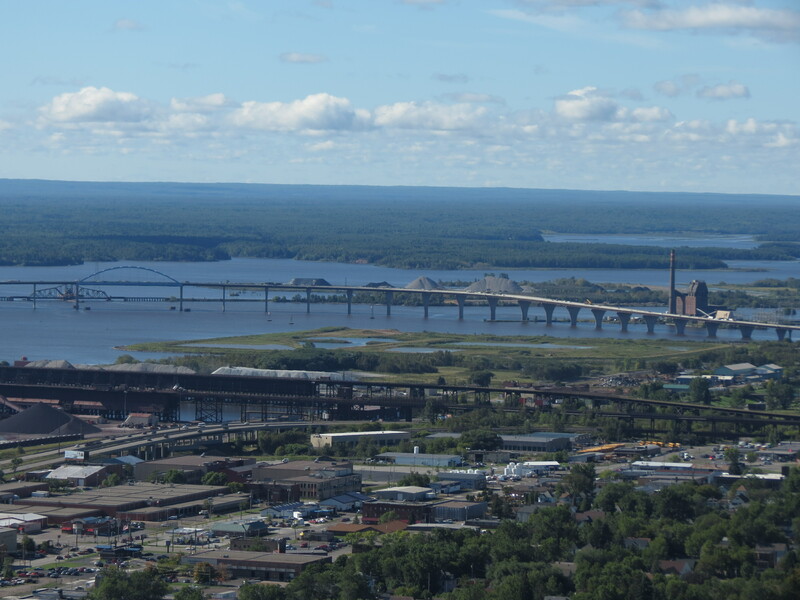 This entry was posted in Keeping Fit, Outdoors and tagged Cycling, Duluth Minnesota, Lake Superior, Outdoors by Molly. Bookmark the permalink. You are so kind, Carol! I’m glad you enjoy my posts. Have a great time in Duluth and I hope the birding and photography opportunities abound for you. I do so hope you come this way again soon! Marty, I’m so glad you enjoyed the post! My husband and I do a lot of cycle touring and are also members of warmshowers.org – we have had many memorable stays with wonderful hosts. 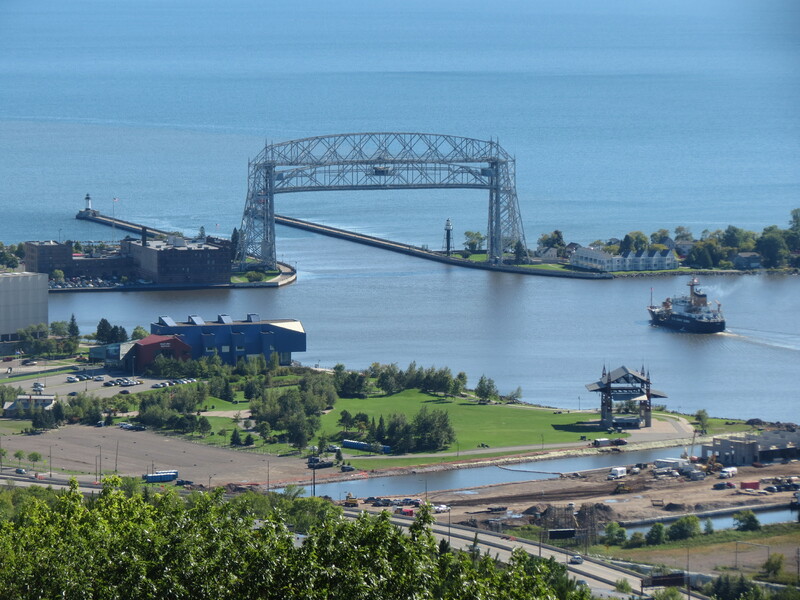 If you are ever in Duluth, we’d love to host you! 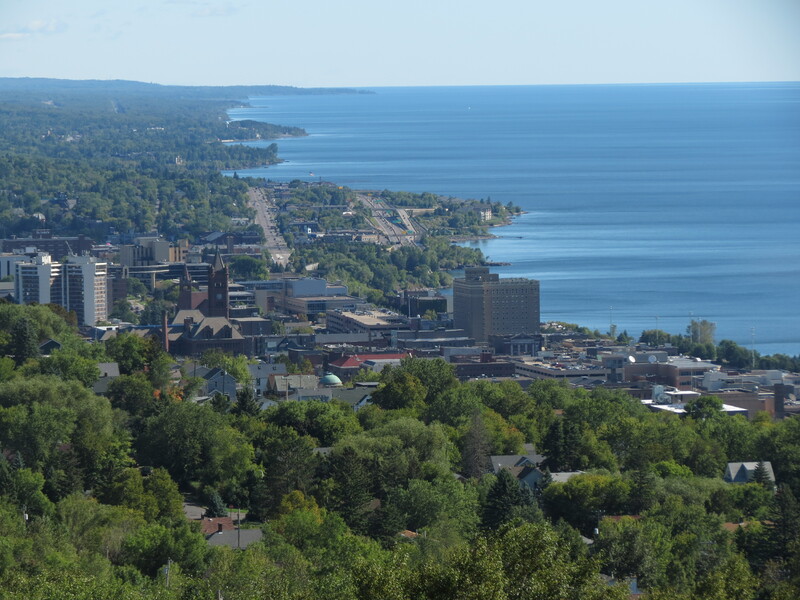 I have blogged about each of our cycling tours – you may be interested in our first tour which was the western half of Lake Superior. Look for the Trans-Superior Tour under “Cycling Tours” at the top of my blog. Happy cycling, and do let us know if you come this way!